Minister Lini is an MP from Pentecost Island in Penama Province. 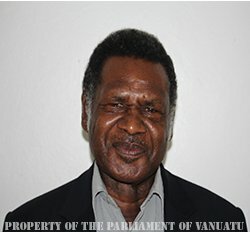 He was Prime Minister of Vanuatu from 11 December 2004 until 22 September 2008, and is the current Deputy Prime Minister since 16 May 2014. Ham Lini is the current leader of the National United Party (VNUP). He has been the Minister of Climate Change since February 2016. Read Minister Lini's speech at the 22nd UN Climate Conference here.